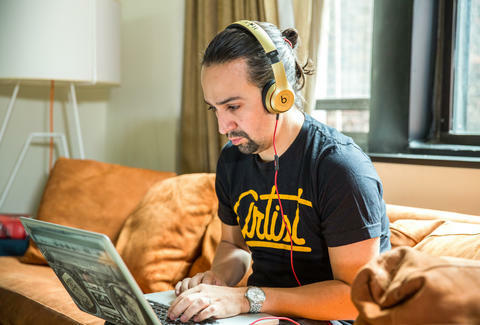 In 2016, podcasts were more in demand than ever. Countless true-crime sagas appeared out of nowhere. Fiction podcasts exploded. Comedians and actors stepped in as voice-over artists. Podcasts piped up to eulogize Bowie and process Trump's election. Historical podcasts, kids podcasts, and even podcasts meant to lull you to sleep all increased in numbers. In this roller coaster of a year, these 15 podcast episodes stood out for their blend of craft, storytelling, and total intrigue. Some tested the boundaries of the medium, others employed entirely new techniques, others still shrunk the distances between us. Do not wrap up your 2016 without listening to them. "Found sound" is not something you often hear in podcasting because, well, random noises strung together test listeners' patience. 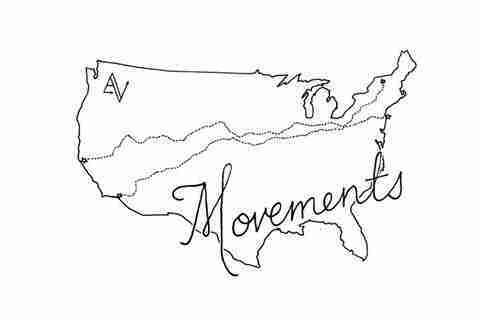 Against all odds, ARRVLS host Jonathan Hirsch and producer Sara Brooke Curtis recorded the sounds they heard as they moved across the country -- him from Brooklyn to Los Angeles, her from San Francisco to Beacon, New York -- and published them as a show. The effect is both a love letter to their new and old environments and an expression of hyper-awareness that evokes the same feeling as a great poem. When you listen, take the advice Hirsch gives in "Movements" at the start of the show: Put in your earbuds and go for a walk. 14. How to Be Amazing, "Ira Glass"
Every installment of Michael Ian Black's interview show is laced with a tiny nugget of irony: The comedian believes himself to have been on the verge of amazing for far too long, and expresses as much through perfectly self-deprecating jokes. Unlike other interviewers, Black crafts generous intros for his guests, which he delivers at the top of the hour. And he continues with the questions that most interest him about his guests, none of which can be answered through Google. His show with Ira Glass, the godfather of modern-day podcasting, is amazing meta-commentary delivered by two amazing people. 13. Sampler, "This Feels Terrible"
Sampler's premise -- discussing other podcasts -- was a bit too inside baseball for mass listeners, so it wasn't all that surprising that Gimlet killed it. "This Feels Terrible," however, is a fun 40 minutes for everyone. The episode features clips from two comedians and their podcasts, Erin McGathy of This Feels Terrible and Dan Harmon from Harmontown, as they meet each other, fall in love, take that love on tour, and see how their relationship and respective podcasts fare through all those fights and feelings. The result provokes the audience to question how and why they take sides or feel loyal to certain partners when they watch other couples fight. Even though it feels impolite to gawk at the particulars of McGathy and Harmon's relationship, they took their exhibitionism to its logical extension, so we might as well have a look. 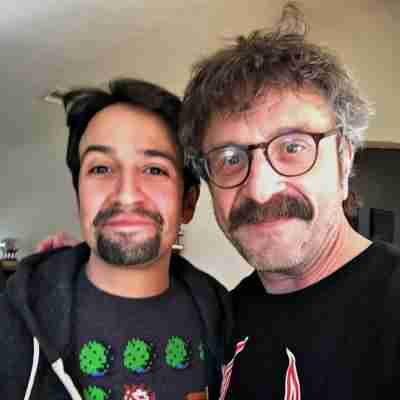 Marc Maron's conversation with the Hamilton creator paints the portrait of a relentless young artist. Miranda has all the goods that Maron likes -- a New York upbringing (including local government ties), gentrification stories, strong opinions about politics, and an encyclopedic knowledge of his craft. Miranda doesn't shy away from performing, either, and the sweetness and joy it brings out of Maron is a rare treat. You'd think they were talking about their favorite music instead of the state of the union -- though they do get into music, too, especially hip-hop. Even when the topics take a dour turn, the mood never does. 11. Reply All, "Boy in Photo"
A good internet story follows a meme around like a good detective novel chases after a lead -- or at least that's how Reply All hosts Alex Goldman and PJ Vogt see it. 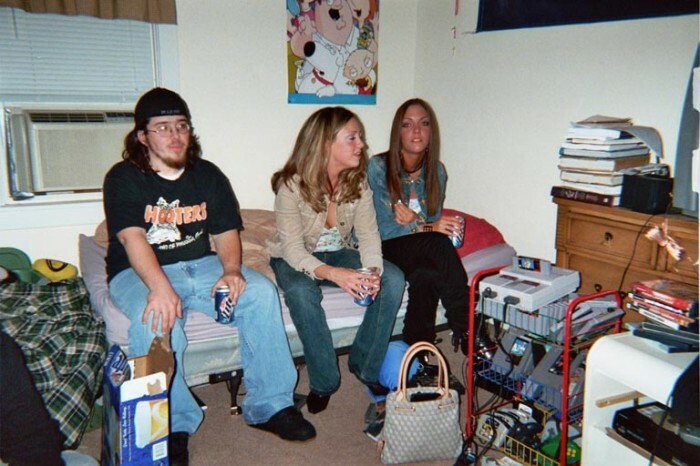 In this case, a picture of a guy sitting on a bed next to two young women and drinking a Miller Lite went viral. People projected all kinds of sadness and loserdom on him, and he even got a nickname: Wayne. So Goldman and Vogt do what they do: try to find Wayne and entertain you. "Boy in Photo" is a cliffhanger that wraps up in one episode and a giant billboard for the adventure that is Reply All, a show that reports on stories sprung from message boards and birthed in Photoshop. 10. Radio Diaries, "Majd's Diary"
Radio Diaries has a unique way of collecting stories: asking the subject to record, diary-style, his or her own narrative. "Majd's Diary" exemplifies the virtues of this approach, capturing two years of teenager Majd Abdulghani's life in Saudi Arabia, where she yearns to be a scientist and earn a PhD but the trappings of an arranged marriage and restrictions placed on women threaten to derail her plans. Paced with the frenetic energy of youth, "Majd's Diary" maneuvers the battle lines of gender roles in a country not known for its generosity toward women, but because it's told in Majd's buoyant, determined voice, the cultural forces swirling around her appear to be nothing more than a small impediment en route to gender-defying successes. 9. In the Dark, "Person of Interest"
This new series revisits the investigation into the disappearance of Jacob Wetterling, a Minnesotan boy who was abducted at age 11 in 1989. It's shaped up to be required listening, as In the Dark finds its toehold as a critique of law enforcement. In this standout episode, host Madeleine Baran profiles Dan Rassier, who was wrongly identified as a "person of interest" in Wetterling's kidnapping and has been forced to deal with the harsh judgments of those who believe he is guilty. The episode's finest moment occurs when Baran challenges the sheriff who was hell-bent on pursuing Wetterling, in an interview about his handling of the case. In this episode, a whole community unravels. 8. Radiolab, "The Girl Who Doesn't Exist"
Faith Pennington grew up homeschooled with her brothers and sisters on a rustic farm in Kerrville, Texas. Born to midwives sworn to keep her birth a secret, she reached maturity without any legal identity and a censored dose of TV, internet, music, and books. "The Girl Who Doesn't Exist" draws suspense from how Faith copes with her anonymity and where it leads her. Radiolab interviews people who see her existence on the family plot as the purest gift imaginable -- an idyllic, government intervention-free life -- to make sense of why her parents go to such lengths to shelter their children. 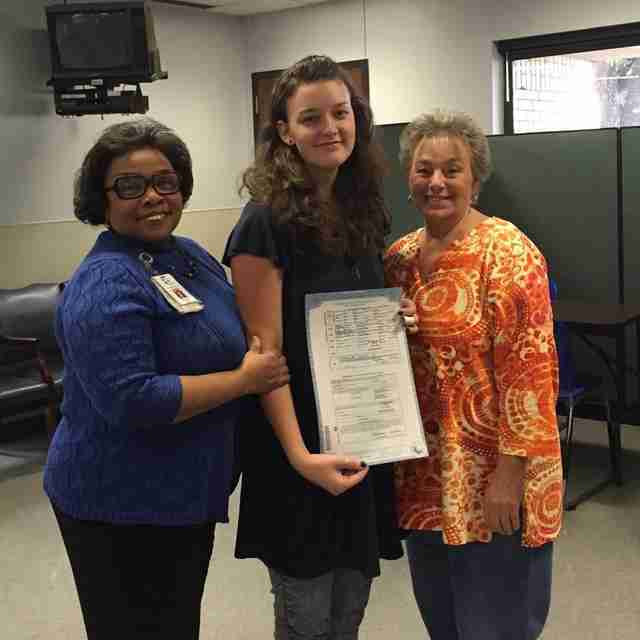 Lacking a birth certificate means Faith can't go to college or get a driver's license, but she doesn't have to pay taxes either. In "The Girl Who Doesn't Exist," it's impossible to pin anyone down to your personal definition of freedom. 7. 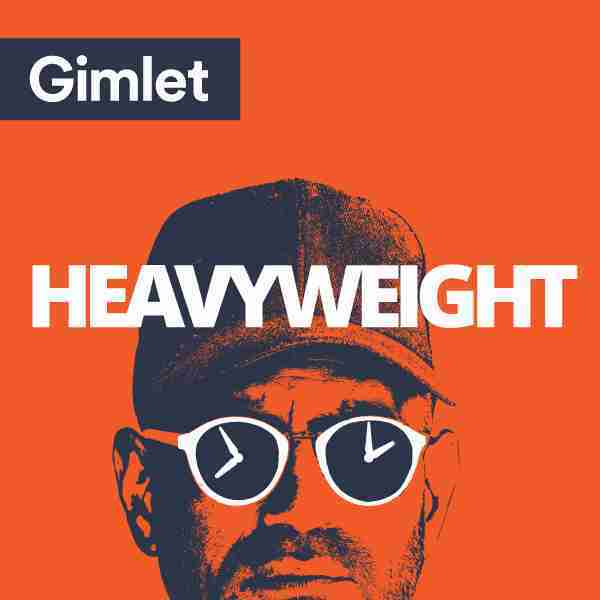 This American Life, "Tell Me I'm Fat"
One thing you won't get used to in this episode is Ira Glass calling Lindy West, Elna Baker, and Roxane Gay fat. But West is pushing for the moniker to stick -- rarely do you hear this word thrown around so cavalierly, but "fat" is an immutable fact. Throughout the episode, you hear people take ownership of a word and the details it entails -- how skin stretches, how pills help you stop eating, how men ignore you, how skinny people lead such different lives. As someone who lost over 100lbs, Baker's exemplary confession doesn't provide ecstatic, grateful testimonial for the thin life, but instead admits she pines for her old body sometimes. 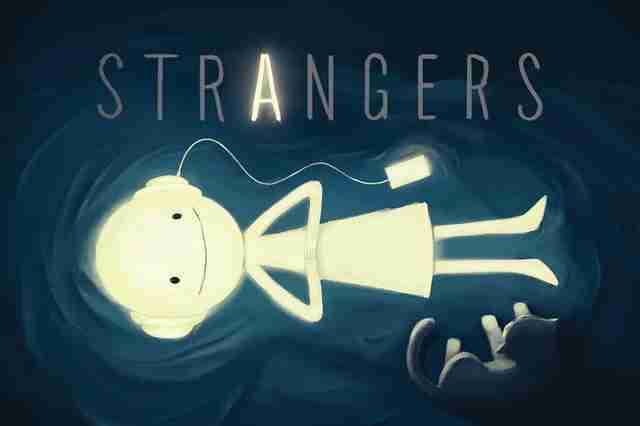 Fans of Strangers have come to rely on host Lea Thau's voice to untangle emotion from a narrative. She has the remarkable power to take any story -- whether it's about heartbreak or an organ transplant -- and personalize it for the listener until there is almost no gap between you and the people in the episode. However, in "The Truth," the story of what happened after a single mother named Ashley fell in love, Thau leaves you alone with the worst grief imaginable. There is no hand-holding for what happens to Ashley and her daughters, just the spareness of someone you love committing unthinkable crimes. "Debatable" starts off sounding like a mind-numbing academic piece without any of the entertainment longtime listeners of Radiolab have come to expect. Turns out, it's a fair price to pay to set up a story that, 15 minutes in, has you rooting for the underdogs among high school and college debate-team kids whose words convey issues of race and privilege in our culture at large. The white kids can't see past their own rules of decorum and don't feel they're doing anything wrong, while the black kids' expression of alienation ends up alienating everyone else. You'll find yourself shaken up by how often progress can also mean destroying what came before it, but also ready to debate anyone who says tradition is more important than inclusion. 4. Reveal, "Do Not Drink: The Water Crisis in Flint, Michigan"
Through impressive investigative journalism, Reveal promotes social change with its in-depth, hour-long podcasts. 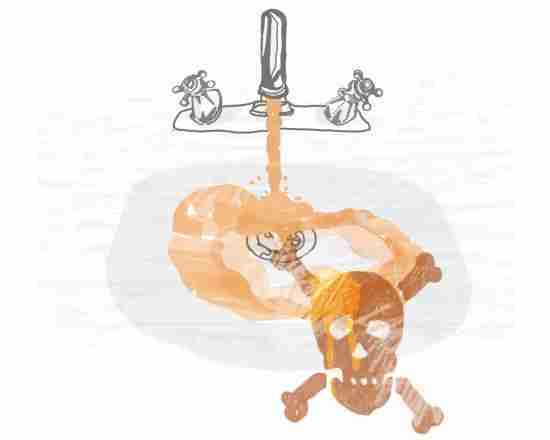 This episode focuses on ordinary families like the Walters in Flint, Michigan, where the city's new, cheap "clean" water sourcing ravaged residents with lead poisoning. The negligence and misconduct discovered in "Do Not Drink" are enough to make you believe certain people in our country live in a banana republic. 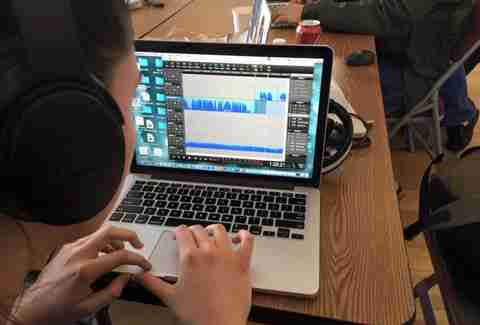 By synthesizing great personal narratives with long-form journalism, Reveal is quickly making a name for itself in the podcasting world. 3. Snap Judgment, "High Crimes and Misdemeanors"
Each segment of Snap Judgment starts with an everyday person's regular situation that winds up having severe consequences, giving a platform to people who too often lack one. The jewel here is the middle and longest section, in which Prisoner of Tehran author Marina Nemat recounts how she found herself in a prison notorious for torture and execution during the Iranian Revolution. Just when you think her story couldn't possibly have room for another twist, it twists and twists again, underscoring the terror of what Nemat must have experienced in real time. It's not just an account of tremendous tumult and resilience: It paints valor and loneliness, generosity and love, even adolescence, all in a new light. This episode of this year's breakout podcast is about first love, a phenomenon that scars us all. At least, that's how it went for host Jonathan Goldstein, who combs through his own past for answers about how his first changed him. The story showcases more of its host than other episodes in the series, but Goldstein's charming detours and silly anecdotes buoy the journey and remind us to consider our own firsts, too. Despite how deep and complicated the tale is at times, it has the exact density you want in a podcast -- just the right amounts of vulnerability, tension, humor, depth, and analysis. 1. Transom: "A Life Sentence: Victims, Offenders, Justice, and My Mother"
This American Life scooped us by repurposing this sublime episode of Transom and releasing it in early December. For good reason: "A Life Sentence: Victims, Offenders, Justice, and My Mother" covers the two decades since a felon named Reginald McFadden -- whose life sentence had been commuted prior to the crime -- committed a violent sexual assault. For producer Samantha Broun, the story is personal: Her mother was the victim, and Samantha later testified before Pennsylvania lawmakers to keep lifers in prison. In this comprehensive, engrossing hour, Broun confronts one act of evil that changed a gubernatorial race and scarred the Pennsylvania legal system, as well as her mother, who finally gets a chance to speak out about the crime here. While all that alone would make for a riveting podcast, Broun's talents as a producer expertly meld the details of the crime with her role in its aftermath to transcend the true-crime genre.